After completing a degree in Applied Mathematics, Sonia spent her early years teaching girls the joys of Maths and Computing before broadening her horizons taking on leadership and general management roles with international IT business’ including HP, Logica (now CSG) and Volante (Now NEC). 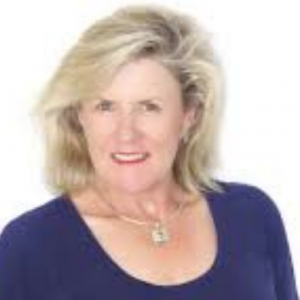 Sonia is a highly experienced Sales professional with nearly 30 years in the Corporate IT industry and a wealth of experience and a high level of success in sales, management and in changing the way organisations do business. After hitting the glass ceiling too many times, Sonia chose to leave the corporate world behind and embark on living her own passionate life. She is now the founder of 4 unique businesses. • Business Brains Club – helping small business become more successful through personalised and private mentoring sessions. • Sterling Results Fitness Club – Focussing on those who are or who want to be “Fit Fabulous and Over 50” . • Trekking Adventures – Providing Trekking experiences of a lifetime . Sonia acts as an ’emcee’ to many Sydney Networking groups including the monthly Bizruption event. Sonia has been the ’emcee’ of a Black tie event at the Sydney Four Seasons for The Royal College Annual Ball. Sonia is personally driven by success. Both in business and in her personal world. Sonia is available to MC your Event or for Speaking engagements.